Some beauty rituals are a real treat, where you feel like you're genuinely taking time out to pamper yourself. Others, sadly, feel more like a chore - and for me, changing my nail polish has always fallen into that category. 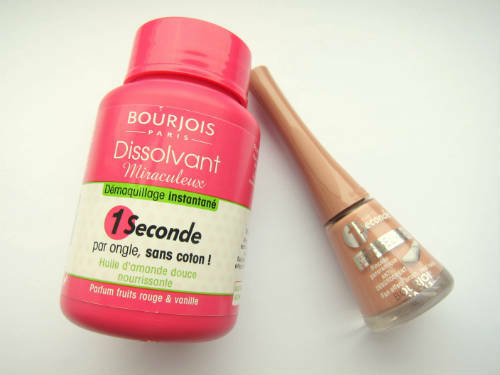 So I was interested to hear that Bourjois are apparently on a mission, to make changing our nail colour as quick and as easy as possible. They sent me their new Magic Nail Polish Remover and 1 Seconde Nail Enamel, which aim to do just that. This type of polish remover is apparently not a new concept, though its new to me. It's basically a pot filled with formula-soaked sponge, with a hole cut in the centre for your nail. Pop it in, twirl your finger round and hey presto, the polish is gone. I was surprised by how much I liked this. It's quick (not quite 1 second, but not far off it ), convenient and effective, with no faffing around with cotton wool. 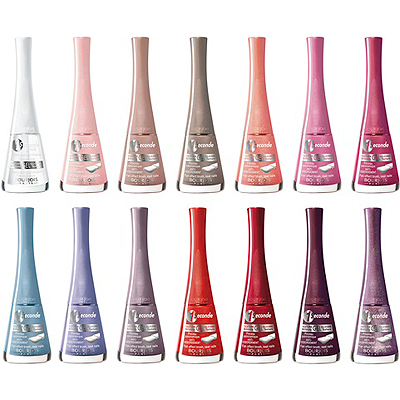 The formula is acetone and paraben free, and enriched with sweet almond oil to care for nails and cuticles. Initially there's quite a strong chemical scent but it dries down on the nail to a pleasant fruitiness. As for the new nail polish, it promises faster than ever results: 1 nail, 1 swipe, 1 second is the claim, and its all down to a gel texture and fan-effect brush. I have Beige Distinction - I found the brush easy to work with and, thanks to the silicone enriched formula, the colour applied nice and evenly, to a glossy finish. Drying time was also impressive. There are eleven shades in the range, which focuses mostly on soft neutrals and pastels for now: beige, taupe, pale pinks, lavender and lilac, pastel blue and coral. There are two 'special effects' that I can't wait to get a look at: the glittery Rainbow Apparition and a jelly-sheer red, Grenadine Tonic. 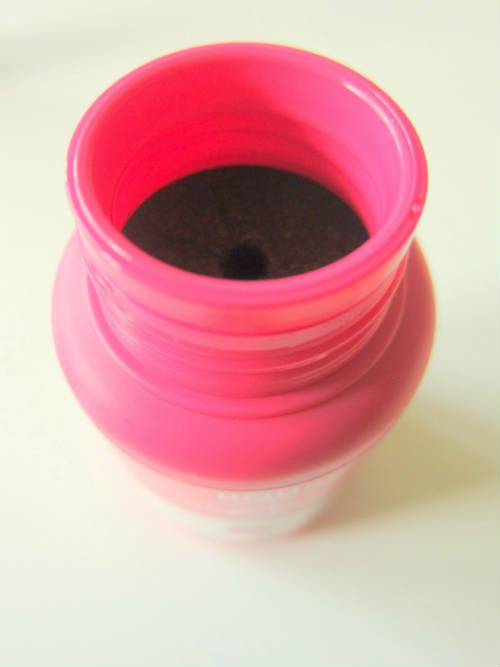 1 Seconde Nail Enamel will be out in June, priced at €7.99. Magic Nail Polish Remover is €6.99 and out now. Like the sound of them? Tell us in the comments!